LOS ANGELES — Coming soon to a theater near you (if a judge agrees): a full-length motion picture filled with footage of Michael Jackson's last rehearsals. The movie would come with all the elements of a major studio release: product tie-ins, merchandising and even a director's cut and special editions. But that's only if a Los Angeles probate judge approves the deal by Monday. The judge has scheduled a hearing for Monday to see if Jackson's mother, Katherine, has any objections. A redacted agreement filed on Friday and released on Tuesday details the film project. The agreement is between concert promoter AEG Live, one of Jackson's companies, Columbia Pictures and others. 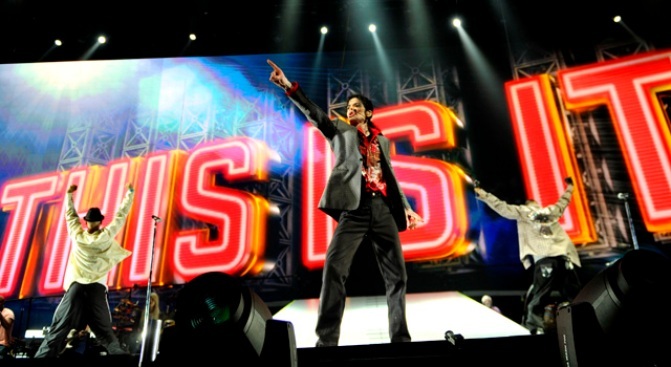 Last month, AEG President and CEO Randy Phillips revealed that the company had more than 100 hours of footage of preparations for Jackson's series of 50 comeback concerts scheduled for London's O2 Arena. He predicted the deal could generate much-needed money for Jackson's debt-ridden estate. The proposed contract offers a glimpse at the possible film. Some of the footage that could be used would be clips meant to be broadcast during Jackson's shows. "If we all do our jobs right, we could probably raise hundreds of millions of dollars just on the stuff we have worldwide and then the estate could eradicate its debt," Phillips said in early July. The contract states Columbia Pictures paid $60 million for rights to the project. If its creation is approved, the movie will have to meet the standards for a PG rating and not run any longer than 150 minutes, the contract states. It also states that the movie can't include any footage that is considered to paint Jackson in a bad light. The deal was negotiated by two men who are administering Jackson's estate, longtime attorney John McClain and music executive and Jackson family friend John McClain. 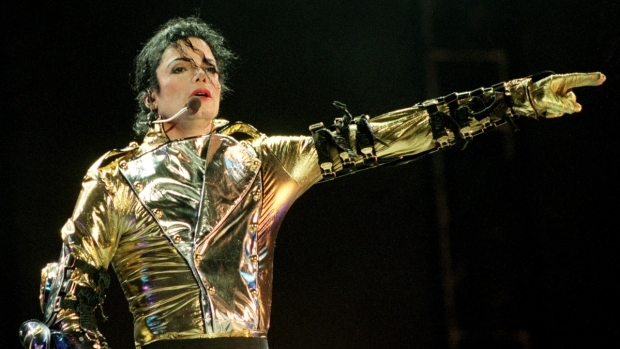 It calls for Jackson's company to receive 90 percent of the film's profits, with the remainder going to AEG Live. The deadline for the judge's approval isn't the only tight timeline the project faces. According to the contract, Columbia must screen the movie for Jackson's representatives no later than Oct. 2.